PRACTICING THE PATH OF "WHO AM I?|"
For a few years now I have been studying the teachings of one of the most remarkable sages of modern times, Nisargadatta Maharaj. Over the past decade the books of his talks to disciples have been appearing more and more and taking the "spiritual circuits" by storm. He is a teacher of what might be called "absolute non-dualism" or the path of "Who Am I? ", a path also taught by a another previous 20th century sage, Ramana Maharshi. 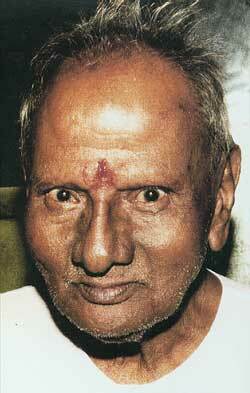 But Nisargadatta's expression of it is startlingly new and modern and in very common ordinary language. In a way, the ancient Indian scriptures called the Vedas and the Upanishads were expressing the same truths, but their style of language is many thousands of years old and is not so accessible to the common man of today. Nisargadatta speaks plainly in common modern language in a fashion that is stark and blunt and very matter of fact. His talks are rapidly becoming one of the greatest additions to world spiritual literature of the last century. In particular the first book of these talks, called "I Am That," has already become a modern spiritual classic, all around the world and in many languages. Below you will find a beautifully edited series of excerpts from this book which captures the essence of Nisargadatta's teachings. This essence is to meditate constantly on one's inner sense of "I Am." It is as simple as that and can yield astonishing results, a discovery one's true nature. "I Am That" is the most amazing book I have ever read. It is completely out of the ordinary. It is the only book I have ever read seven times, and the strange thing is that each time I read it it was as if I had never read it before. I even have a theory why this is so. If it is read carefully and slowly, mulling over ever statement and really trying to grasp what he is getting at, I believe it actually induces a higher state, one in which the usual type of memory is in abeyance, and thus it always seems new. It is not a book to skimmed. It is more of a set of instructions on exactly how to really meditate. For some it will make no sense at all, but for those who have some history of wondering what this life is, what they are, what the mind is and what is consciousness, it will ring like a bell. And it may take some repeated readings to grasp what he is saying and what he means by certain words, such as the distinction he makes between "consciousness" and "awareness," but for those who persist earnestly it can suddenly all lock into place and leave one breathless with realization. I also found that I could usually never read more than six or seven pages at a sitting. If I read that much I found that I had so much of it to ponder that I very naturally and easily drifted into simply sitting quietly and pondering the topics. In fact, although I had studied meditation for many years, it was not until I read "I Am That" that I started to realize what meditation really is. 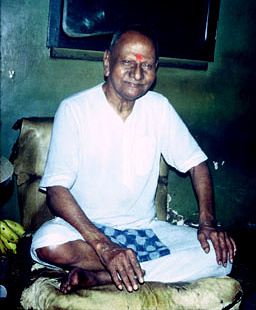 Nisargadatta is really the one who taught me true meditation. And this was an incredibly joyous discovery. Where I used to sit rather strained and forcing myself to be quiet or still, suddenly the whole process was entirely different, radically different, easy and spontaneous and amazingly alive. I realized that despite what I previously had thought, I had never really meditated before at all. While I hope that this little presentation here will put a few people on to this remarkable and modern self-realized sage, I also realize that this teaching is not for everyone. In a sense it is the very highest teaching of the Indian sub-continent. Non-dualism was a teaching that in olden times was kept almost secret and reserved for only the most prepared and advanced aspirants. Those who were deemed not ready were given a simpler and less rigorous set of instructions. 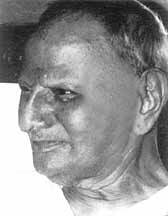 In one sense Nisargadatta's path is very easy, and in another sense it is very difficult, but I shall leave that topic for another time. This compilation of excerpts by Jerry Katz provides an excellent introduction to the book "I Am That." I suggest printing it out and reading it a number of times over a period of days. My experience is that if one does that, each reading has an increased effect upon the mind and consciousness. 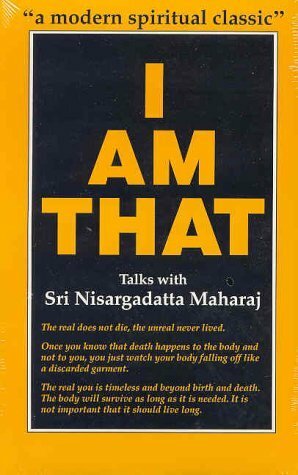 I Am That is a book of talks with Nisargadatta, a late-20th-century Guru of the Nath sect. From the book's Introduction: "Uneducated though the Master is, his conversation is enlightened to an extraordinary degree. Though born and brought up in poverty, he is the richest of the rich, for he has the limitless wealth of perennial knowledge, compared to which the most fabulous treasures are mere tinsel. He is warm-hearted and tender, shrewdly humorous, absolutely fearless and absolutely true -- inspiring, guiding and supporting all who come to him." Please buy I Am That, wherever you buy your books. It is a "must." There are many starting points -- they all lead to the same goal. You may begin with selfless work, abandoning the fruits of action; you may then give up thinking and in the end giving up all desires. Here, giving up (tyaga) is the operational factor. Or, you may not bother about any thing you want, or think, or do and just stay put in the thought and feeling 'I am', focussing 'I am' firmly in your mind. All kinds of experience may come to you -- remain unmoved in the knowledge that all perceivable is transient, and only the 'I am' endures. Go home, take charge of your father's business, look after your parents in their old age. Marry the girl who is waiting for you, be loyal, by simple, be humble. Hide your virtue, live silently. The five senses and the three qualities (gunas) are your eight steps in Yoga. And 'I am' is the Great Reminder (mahamantra). You can learn from them all you need to know. Be attentive, enquire ceaselessly. That is all. Everything is a play of ideas. In the state free from ideation (nirvikalpa samadhi) nothing is perceived. The root idea is: 'I am'. It shatters the state of pure consciousness and is followed by the innumerable sensations and perceptions, feeling and ideas, which in their totality constitute God and His world. The 'I am' remains as the witness, but it is by the will of God that everything happens. As it is natural for the incense stick to burn out, so it is natural for the body to die. Really, it is a matter of very little iimportance. What matters is that I am neither the body nor the mind. I am. 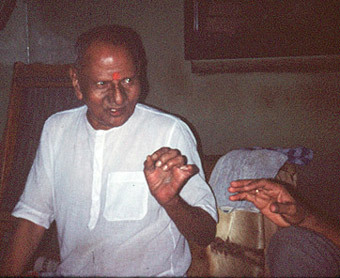 Nisargadatta's book, I Am That , is available through The Society for Abidance in Truth. or Blue Dove Press as well as other places. 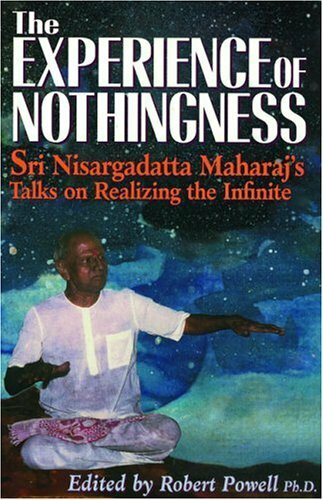 There are a number of other books containing the talks of Nisargadatta, and new ones continue to come out. Here is one that I have read and can highly recommend, "The Experience of Nothingness." Another book that I have read is called "Conciousness and the Absolute." 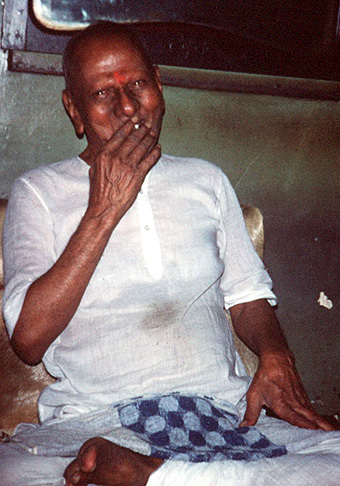 This contains the finals talks of Nisargadatta, given when he was suffering from cancer. In these talks he speaks of going beyond even the previous high state he was in, into the experience of the Absolute itself. Another place you can order "I Am That" is at Blue Dove Press. 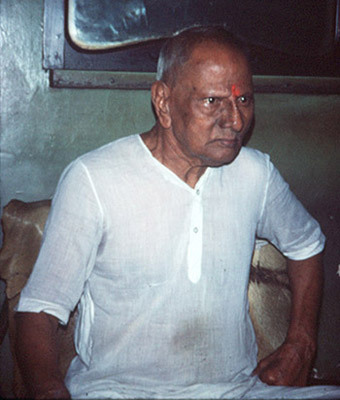 Lastly, click here for the web page I made devoted to Nisargadatta Maharaj.